Visiting Bistro Guillaume at Crown Perth for Indulgent Afternoon Tea is like taking a breath of fresh minty air. The décor makes you feel you could be dining in a French salon that encourages a sense of fun. 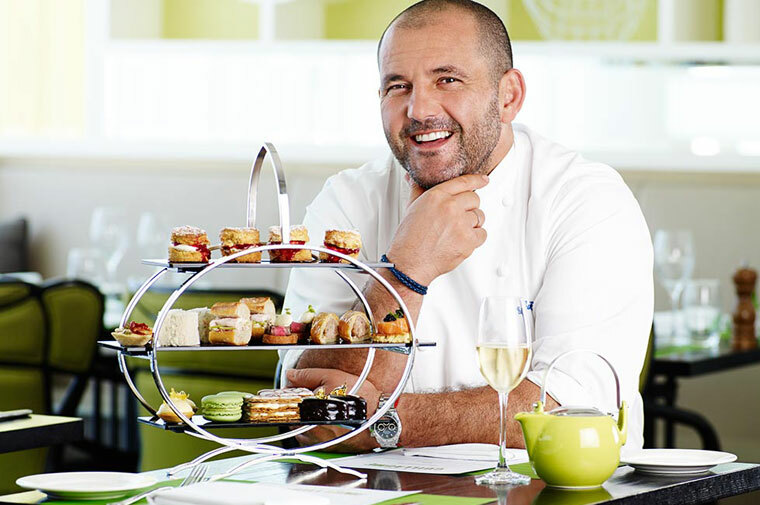 The Bistro’s much-loved namesake Guillaume Brahimi should be well known to Aussie foodies for his TV and event appearances, cookbooks, and his award winning restaurants at Crown Melbourne and more recently Perth. But it’s only Guillaume’s Perth restaurant that offers high tea – apparently due to demand – West Aussies know how it’s done! Although called Afternoon Tea by the Bistro, it is in all other aspects a traditional High Tea – to be shared with family and friends with all the trimmings. My mum joined me to share the experience and we had a delightful afternoon. 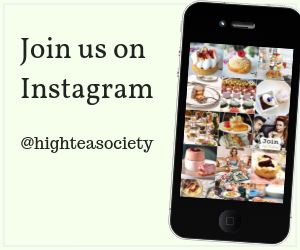 It’s at the more expensive end of the High Tea scale, but I think well worth it to celebrate a special occasion or a chance to don a frock and enjoy some decadence. Afternoon Tea Indulgence includes a glass of Perrier-Jouet Grand Brut, a generous serving of canapés and scones, and one of the most interesting range of teas I’ve seen. Chef de cuisine Robert Murphy and his team at Bistro Guillaume make everything from scratch and the sweet and savoury treats are only on offer as part of the Afternoon Tea package. We’d be hard pressed to pick our favourite menu items, but the Valrhona milk chocolate mousse, lemon tartlets, macarons and chicken waldorf champagne baguettes were standouts. Each item was finished to a high standard. Other menu items include spanner crab sandwich, rare roast beef with horseradish cream served on a crisp crouton, bite size house made smoked salmon with dill cream and avruga caviar, veal sausage roll, mini quiche, vanilla crème mille-feuille and last but not least – scones with raspberry coulis. The scones were petite, light and crisp and the coulis full of flavour. Macaron flavours regularly change but on the day we enjoyed mint with chocolate. Teas are predominantly by Mariage Freres and Mlesna Ceylon. My mum and I are both big tea drinkers but neither of us had sampled these brands before. We loved our selection of Soursop Green and Marco Polo. They were full of flavour without any bitterness. 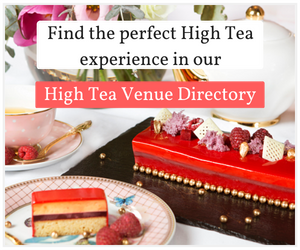 There are 12 teas on the menu to select from and as well as the usual English Breakfast, Camomile, Peppermint and Earl Grey, they also offer Stockholm Blend, Eucalyptus, Dragon Pearls, Wuyi Oolong, Silver Tip and Casablanca. Tea is served in delicate china cups and the champagne in Riedel glassware. The afternoon tea selection is served on an art deco-style stand to compliment Crown Perth’s décor. The restaurant is cleverly laid out with sections that could cater for larger parties in their own space, plus more intimate tables for two. There is an outdoor seating area overlooking the stunning resort swimming pool. Afternoon Tea is served only on Saturday and Sunday and costs $65 per person with bookings recommended. Dietary requirements are catered for and remember to tell staff if you do not plan on having the glass of bubbles, as the cost would then be $50. Afternoon Tea can also be served in Crown Perth’s Atrium and Lobby Lounge but for full effect the Bistro is best. We made a valiant effort to finish our Afternoon Tea but our attentive waitress must have noticed our flailing appetites and kindly offered to box up the remaining items. This was a pleasant and unexpected gesture that finished our afternoon on a high. With one pot of tea per person. Afternoon Tea $50, with a glass of bubbles $65. 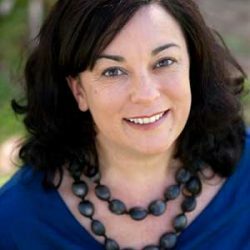 Janine Pittaway is a proud West Aussie, a foodie, a 25-year communications professional and a passionate Fremantle Dockers supporter. When she’s not working in her PR business, Bright Communications, for some of the State’s best events and tourism operators, she’s out and about experiencing the south west’s food, wine and attractions. Janine moved to the gorgeous Margaret River region four years ago with her partner Stewart and cat Sago. She’s a regular visitor to Perth though and when back in the big smoke she loves to include a cheeky high tea and glass of bubbles with old friends.